Tuesday Topic // Are There Too Many PEs? 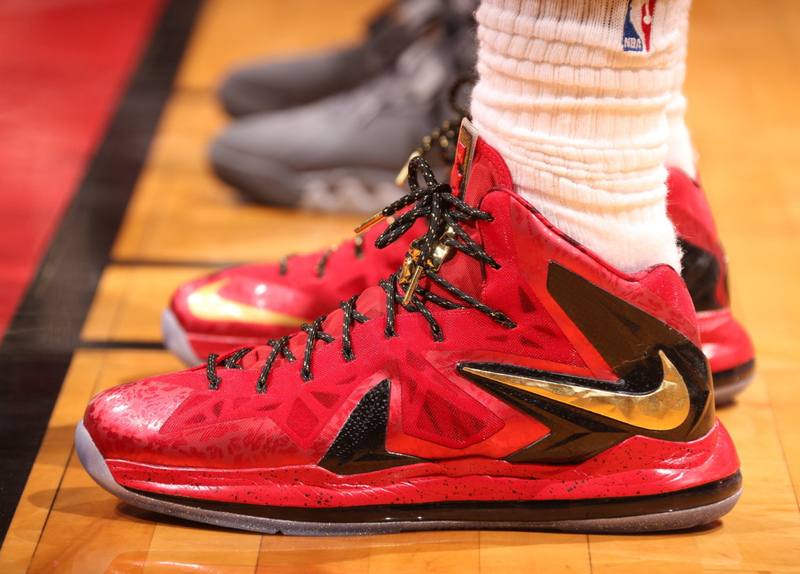 Would you like to see more of the shoes worn by signature athletes available to the public? When LeBron James took the court for Game 5 of the 2012 NBA Finals, it was a first for something. 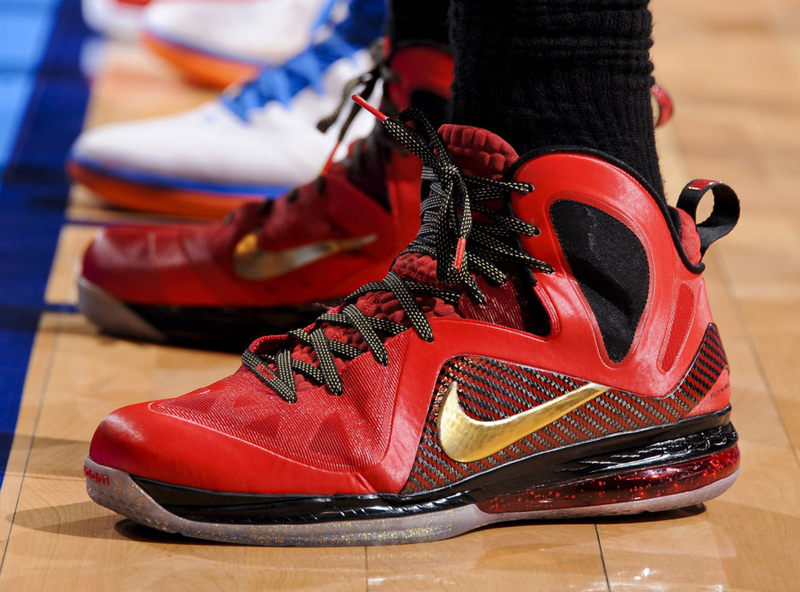 After previously only wearing PEs in the Finals, James wore a general release colorway of the LeBron 9 P.S. Elite for the title-clinching game. Thanks to that one game, fans could own a piece of sneaker history, and LeBron’s first title. But was it too little too late from a sneaker standpoint? Was the shoe really that memorable, or more of an afterthought after seeing more amplified colorways like the all-red PE worn earlier in the series? It wasn’t always this way. With very few exceptions, MJ didn’t wear colorways that weren’t available to the public. Out of the 16 models of Air Jordan (I, II, III, IV, V,VI, VII, VIII, X, XI, XII, XIII, XIV, XVI, XVII, XVIII) that he wore on-court, the only shoes not released were pairs like XI Lows and XIII Lows, which were only worn for a game. Aside from a few personalization details, such as the 23 on the side of his Vs, everything else was readily available to the public. What that meant was that when MJ created a “moment” on court, there was a tangible part of his sneaker legacy that could be shared by his fans. The Shot over Craig Ehlo? 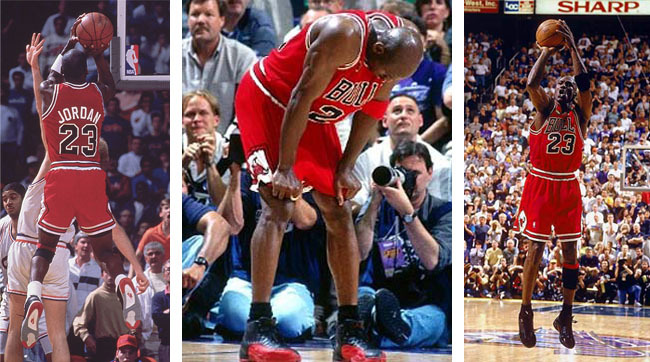 The Flu Game? The Last Shot? Not only have the shoes worn for these moments each been retroed multiple times, they were all available at the time they originally happened. 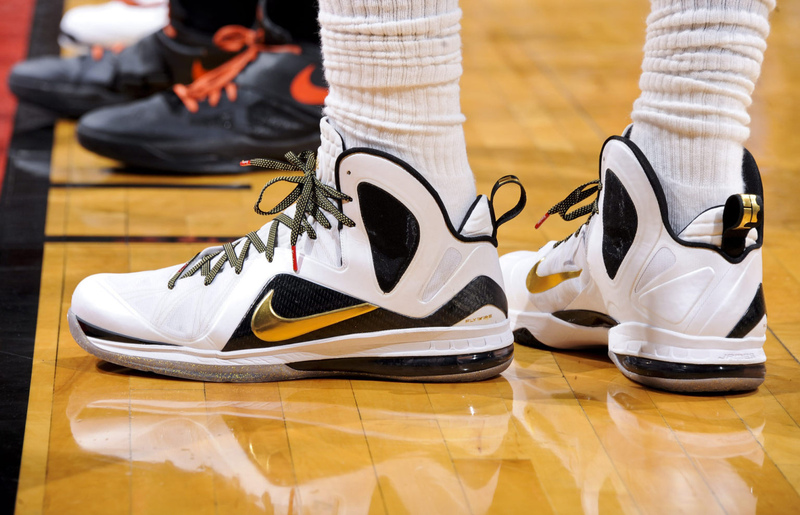 Throughout the first five games of the 2013 NBA Finals, and the entire Playoffs, it’s been back to PEs for LeBron. On the verge of elimination, there might not even be a chance to play a closeout game where the Heat could win this season. While it was a nice gesture to fans for LeBron to wear a GR for that single game in last year's Finals, had they already been diminished by more “exciting” PEs? What do you think? Are there too many PEs? Do you like the excessive amount of player exclusives worn in the Playoffs (and throughout the season)? Or would you like more of a chance to be able to wear the shoes that these moments are made in?